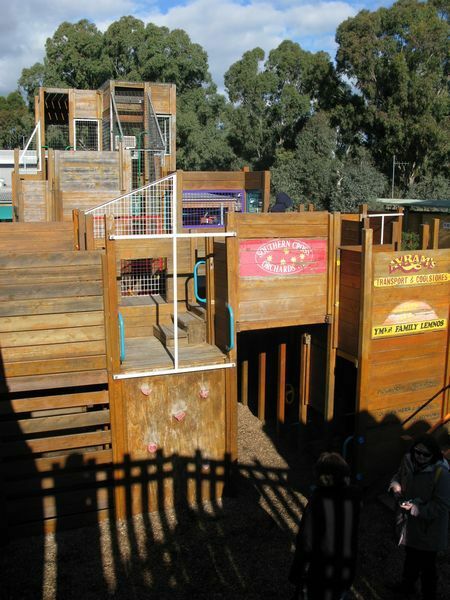 2km from Shepparton, you'll find KidsTown Adventure Playground. 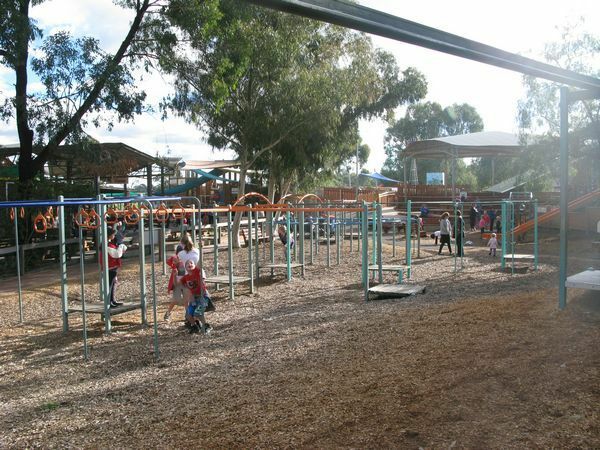 For the little ones, there is an enclosed playground where they can play to their heart's content. For the older children, there is the large outdoor slides and some bumpy slides that race down the side of the hill. 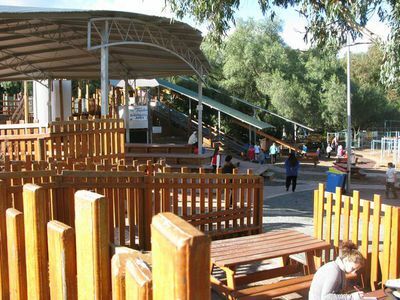 KidsTown also has barbecue areas and some lovely grassy areas to picnic and a cafe / kiosk. At this point, the entire playground can be accessed via a gold coin donation, making it available to all people regardless of finances. You can even come in and have a look before deciding whether you wish to pay or not. One of the favourite climbing places is the recycled packing crates and maze, with dedications to the families that assisted to build it scattered throughout on plaques along with riddles jokes and things to amuse. Once a year, KidsTown is home to KidsFest, a great festival for children of all ages with all sorts of activities for all to enjoy. 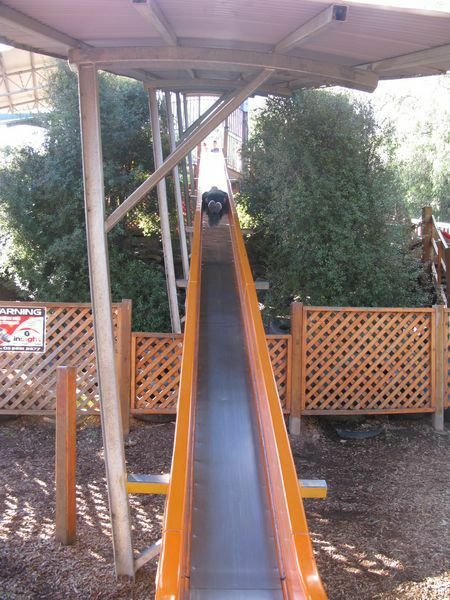 If you wish to pay for some activities, they also offer miniature train rides, sideshow clowns, jumping castles and varying activities that change throughout the year. 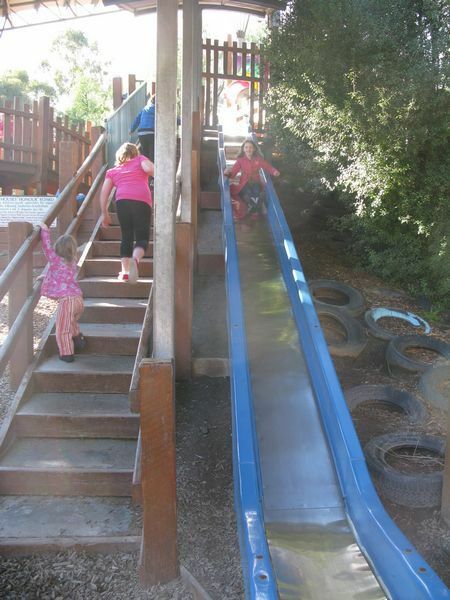 KidsTown welcome family groups and school bookings and it's a fun place to have a birthday party with no clean up afterwards, other than taking your rubbishaway.